Four men gather outside an apartment complex, each waiting for the same man to arrive. Two are sent to take this man out; two are there to save him. 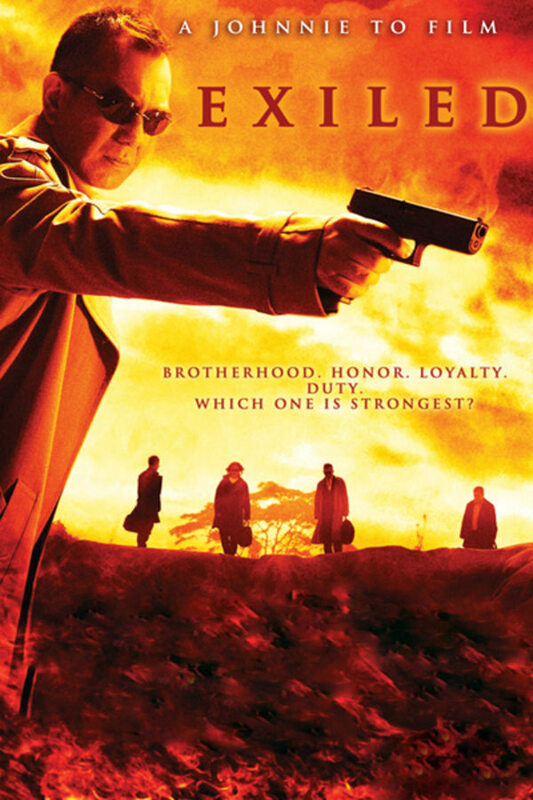 Really amazing action film about a group of assassins and their loyalty to each other. Some wonderful set pieces that just enhance the human story being told. A winner all around and I'm surprised there hasn't been an American remake. Such a great film. Love the action. To is one of the best heroic bloodshed directors out there. Yeah, this isn't horror but it is genre. Dorks: but it not horror! Me, an intellectual: No Johnnie To film can plausibly be rated lower than 4 stars.